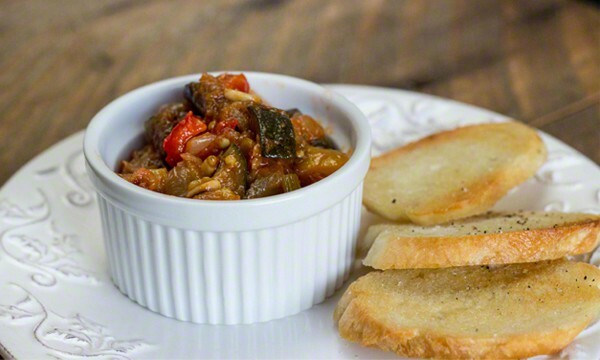 Caponata is a stewed type of relish that will knock your palate’s socks off. What? Doesn’t your palate wear socks? 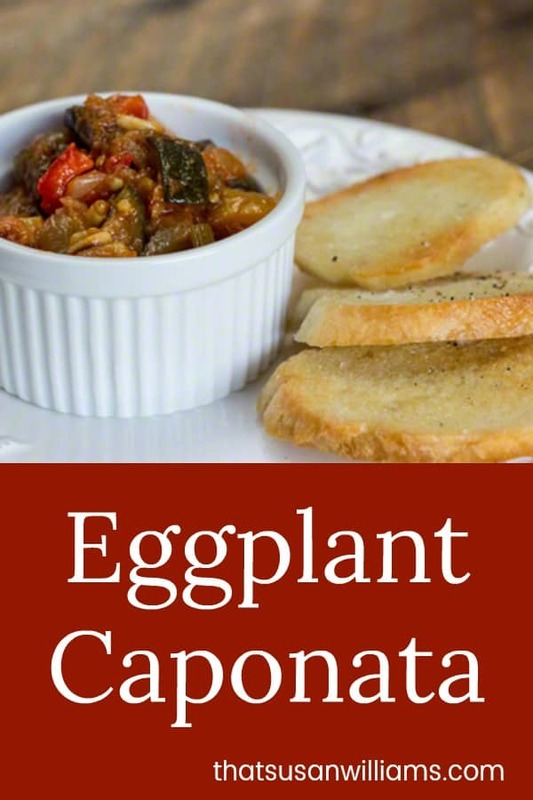 I got more eggplant in my CSA box a few weeks ago, and my daughter was getting burnt out on Eggplant Parm (which would never, ever happen to either my husband or to me), so I went looking for a good way to use this eggplant. I wanted an appetizer I could make in advance. 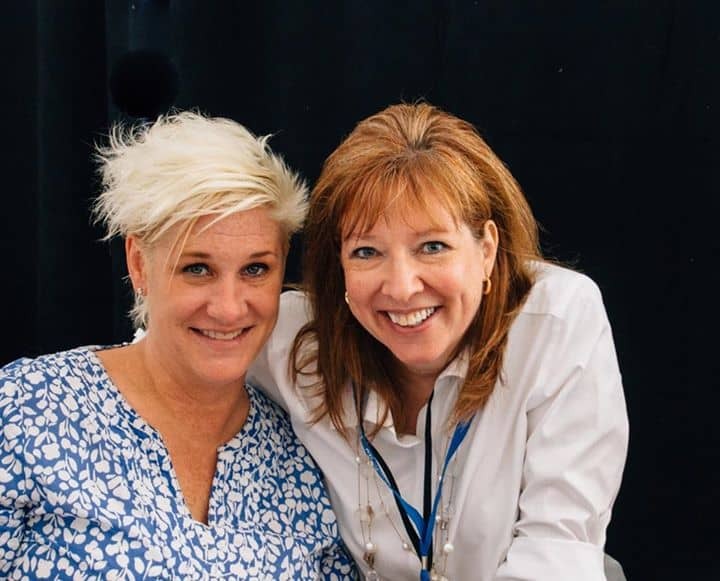 There’s no chef I love any more than Anne Burrell. She is up in my top 5 list of favorite chefs on the planet, and they’re all tied for #1. Her recipes are consistent, approachable to the home cook, and fabulous. I’ve got a girl crush. Is it any wonder? Chef Anne Burrell, whose recipe this is. Taken at the Greenwich Wine & Food festival. And by jinkies, she’s right! That statement is what I’ve always sort of believed in my heart, but to hear it said out loud by a chef whose cooking I adore? It was very empowering to me. I have a lot more confidence in my cooking now, thanks to you, Chef Anne. MWAH! And of course, by watching you, and reading your books, I continue to improve my skill set and expand my horizons, as well. We, who are about to Get Stewed, Salute You. But back to the lowly eggplant, sitting in my fridge. What to do? The beauty of this recipe is also that it’s an appetizer you can make in advance (take THAT, Thanksgiving Day pressure), and it will just keep getting better, day after day. The flavors have time to mingle, and get intimate, and marry. 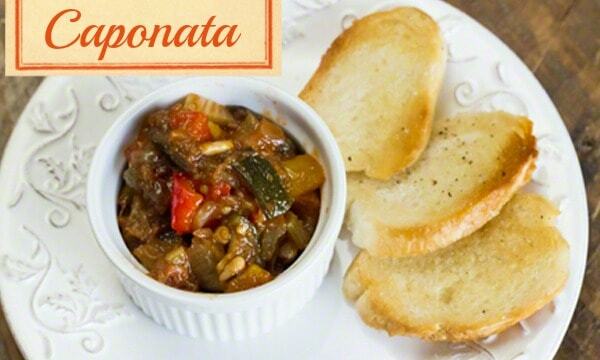 It’s amazing they don’t make little baby batches of caponata. Eggplant & Friends for making Caponata: Thatsalotta Choppin! 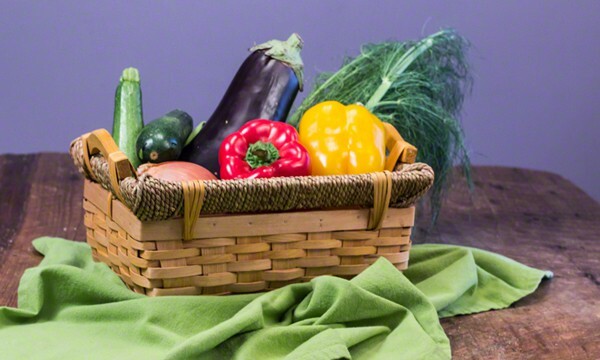 One recipe note: there’s a lot of chopping of veggies in this recipe, and be sure you get that all done before you begin cooking. That’s having your mise en place. (Everything in its place.) I fudge on this sometimes, when I cook, chopping as I go along, but in THIS recipe, you are throwing things in the pot in order of amount of cooking time needed per veggie. So, it’s important to have stuff ready when you need it. So do your mise en place, this time, kids. A little bit savory, a little bit sweet, a little bit pickled, a little bit stewed, a little bit fresh, a little bit smooth, a little bit crunchy, a little bit spicy. My husband called it Crack. Cover a baking sheet with aluminum foil or parchment paper(so you don't have to scrub the sheet later). In a large bowl, toss the eggplant generously with with olive oil and a generous sprinkle of salt. Spread out on the baking sheet, and roast until the eggplant is soft and mushy, with a little caramelization, about 20 minutes. Reserve. Coat a wide deep pot with olive oil. (If you have an enameled covered cast iron pot, that would be perfect.) Toss in the onion and crushed red pepper flakes, and season with salt, to taste. Cook over medium-high heat until the onions are becoming soft, opaque, and smelling good, about 8-10 minutes. Add the fennel and celery and cook for another 5 minutes. Stir in the garlic, and cook for another minute. Stir in all the peppers, and cook for another 5-6 minutes. Add the zucchini, season with salt to taste, and cook until the zucchini and all the veggies are soft and aromatic and starting to come together as a stew. Toss in the eggplant and the 1/2 c. of water, and the tomato paste. Cook until the water has evaporated. In a liquid measuring cup, stir the sugar into the vinegar to dissolve it, and add it to the mixture. Stir in the raisins, capers, and pine nuts and cook for another 5 or 6 minutes. Finish by stirring in the mint. Let cool, and transfer the caponata to a serving bowl. Serve immediately, at room temperature on slices of Tuscan bread or baguette that you have drizzled with olive oil, salt & freshly ground black pepper and toasted in the oven for 5 or 6 minutes. You can also chill it overnight, and it will taste even better served at room temperature the next day, and even better the day after that. The hardest part of this recipe is all the chopping, but you really need to get ALL the chopping done before you start cooking, so you can add the right ingredients exactly when they are needed. 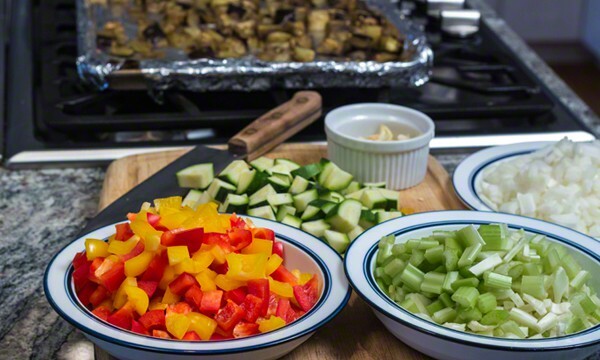 Being sure you have everything chopped and ready to go is called Mise En Place. I sometimes fudge a bit and chop as I go, but you really need your ingredients chopped before you start this particular recipe. A traditional Italian appetizer you can make in advance, made of eggplant and other vegetables, simmered and served over crostini. Absolutely delicious!!! Please share this on Pinterest.